If you are fixin to pour some fizzy water in your pie hole follow instructions that follow mo-fo. 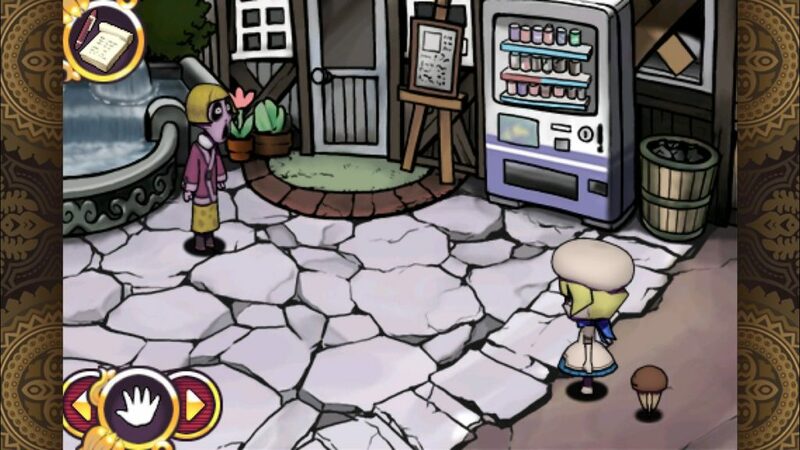 Insert your damn coin in the damn slot. Make your selection. Take product and drinky drinky. 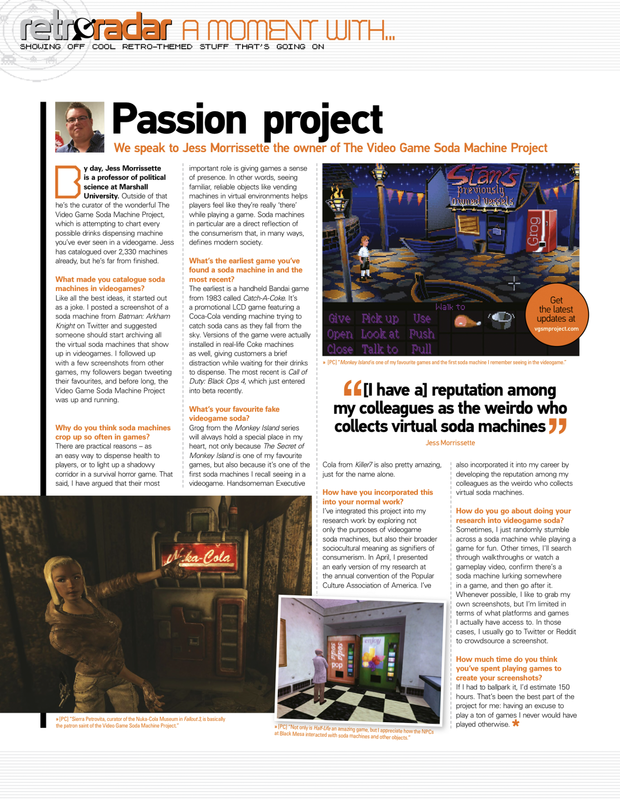 I haven’t seen someone meld with a soda machine like this since Geist on the GameCube. 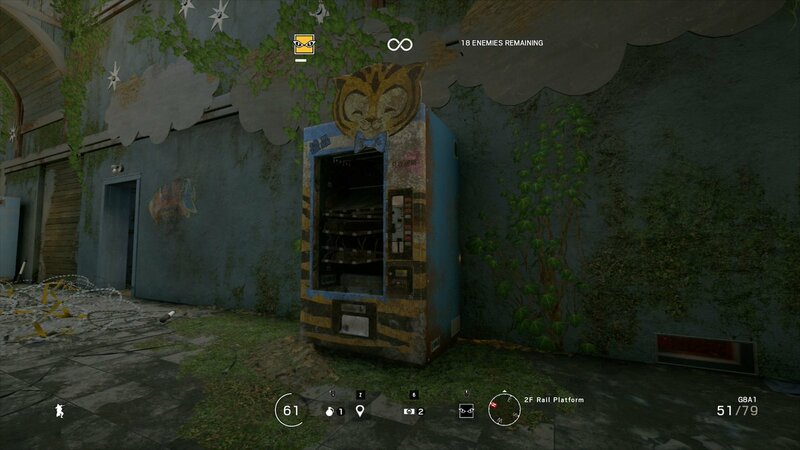 I’ll give the Rainbow Six: Eagle Watch expansion pack credit; its vending machines are a vast improvement over the base game. 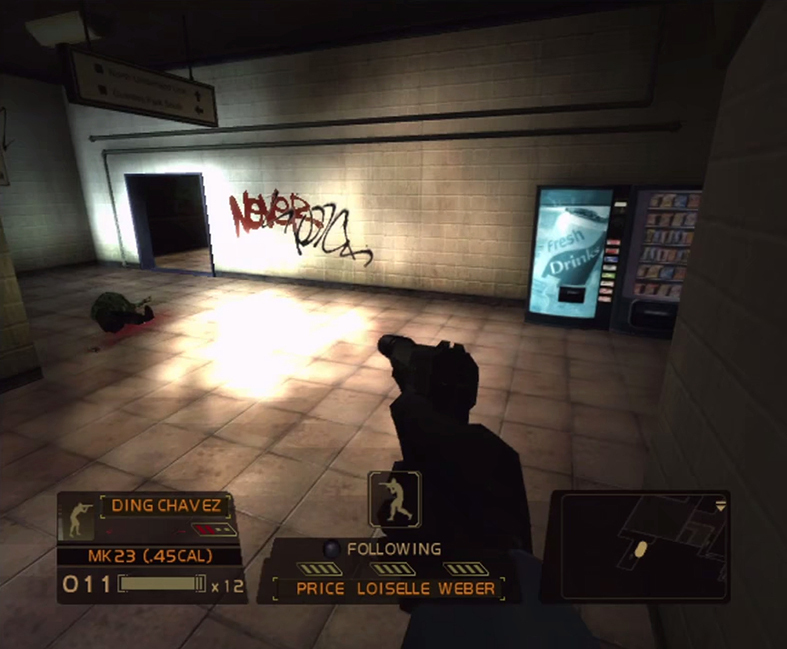 Thanks again for the screenshot, Darren! 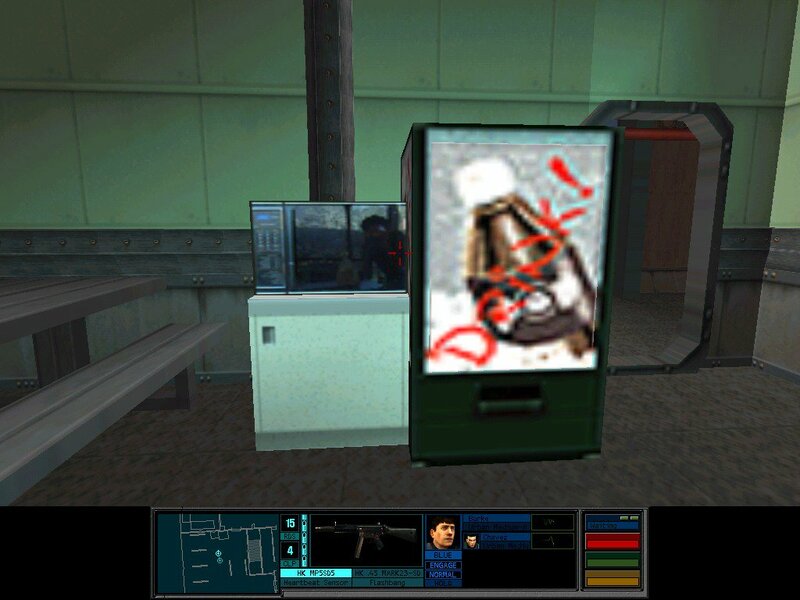 Check out this soda machine from Tom Clancy’s Rainbow Six and rest assured that Red Storm Entertainment spared no expense to bring you this AAA title. Thanks for the screenshot, Darren! 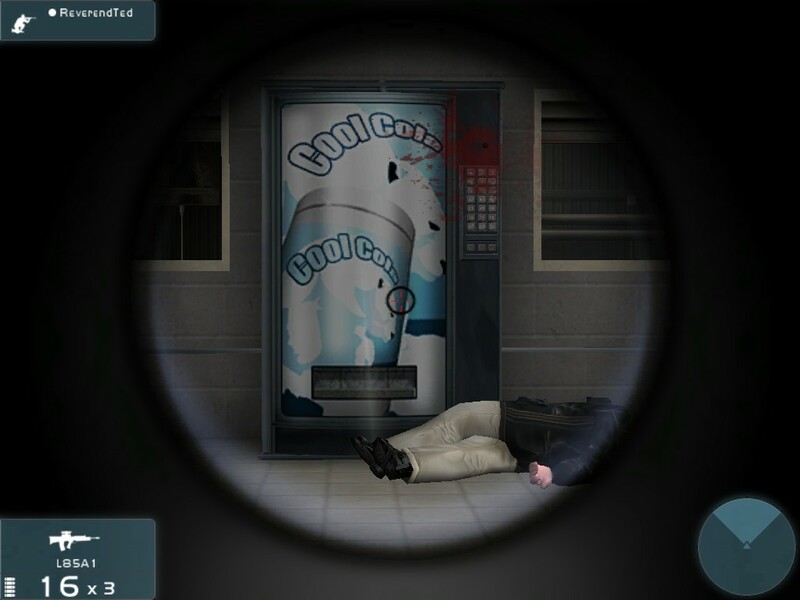 Resolve a hostage crisis in a Dutch train station successfully, and your squad leader might just treat you to a Cool!! 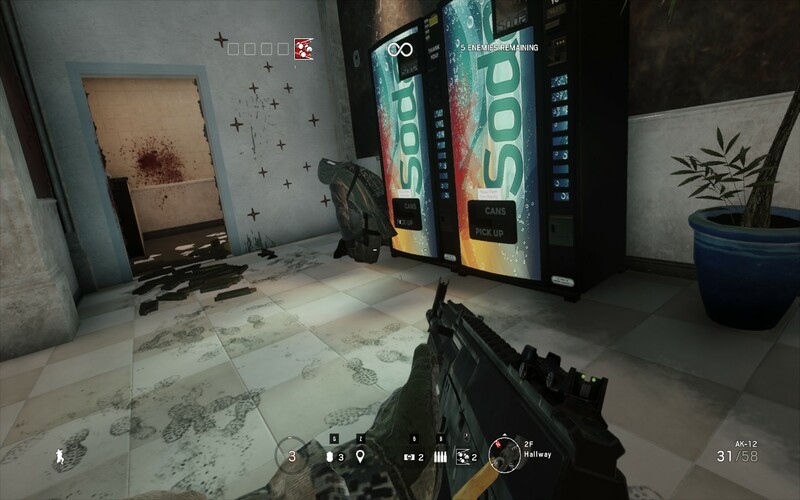 soda in Tom Clancy’s Rainbow Six: Rogue Spear – Black Thorn. 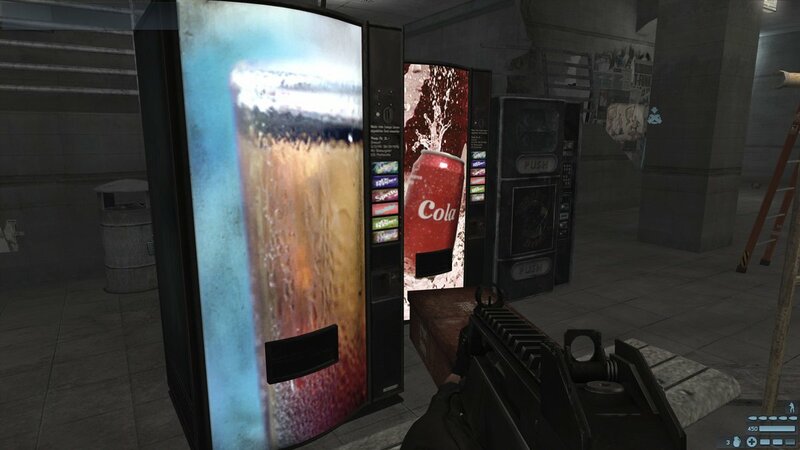 Tom Clancy presents a trio of soda machines in Rainbow Six: Lockdown! 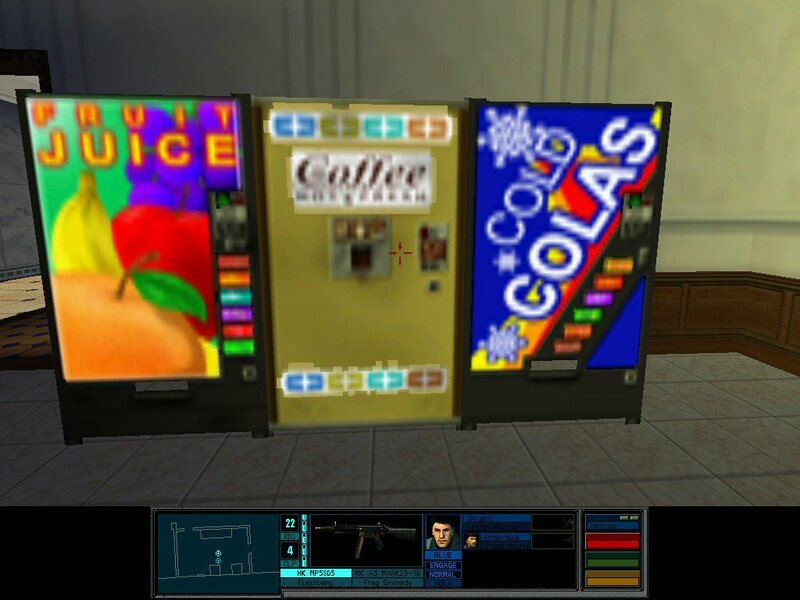 Unit now engaging soda machine — code name “Fresh Drinks” — using standard tactical protocol in Rainbow Six 3: Black Arrow, a 2004 XBox exclusive. 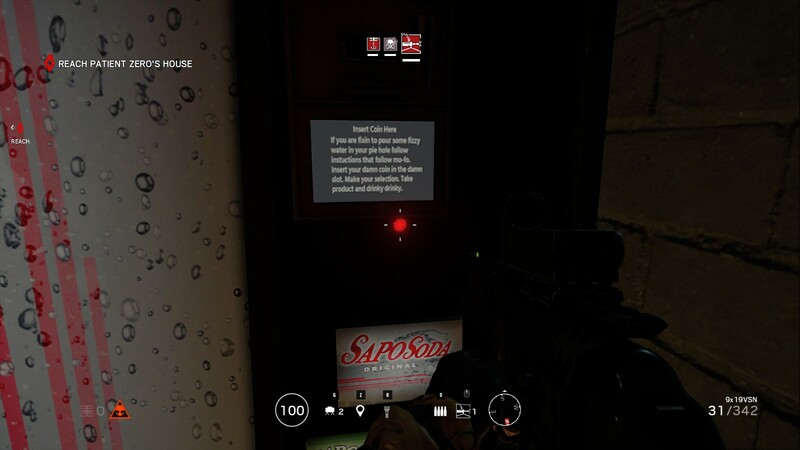 If I assigned ratings to soda machines here at The Video Game Soda Machine Project, this one from Rainbow Six Siege would easily earn a full five out of five stars. 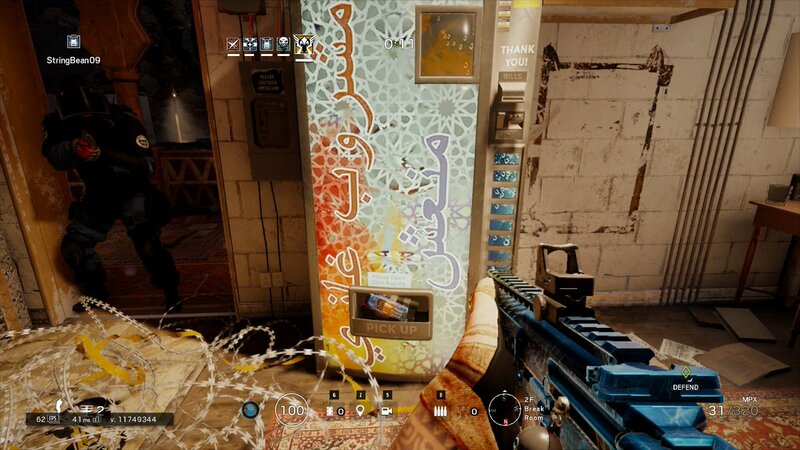 I can’t be certain, but this second vending machine looks like it probably sold snacks and not soda. 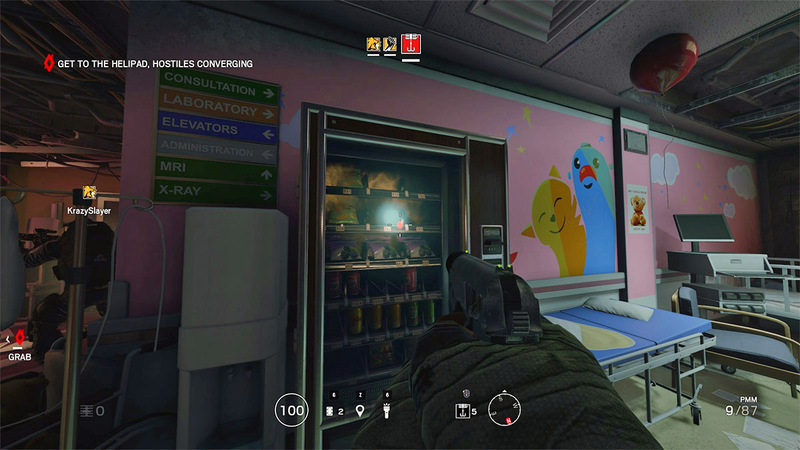 Still, it’s just too adorable not to post. 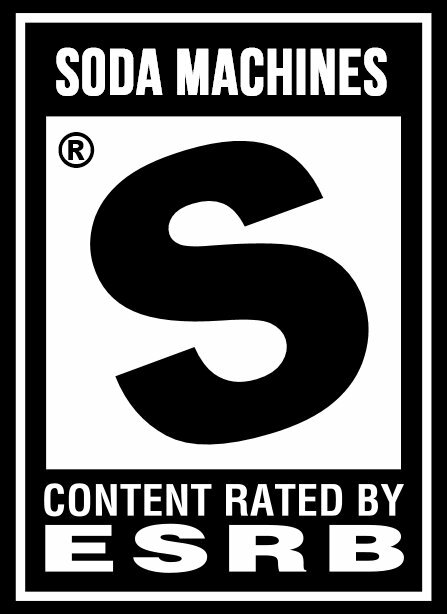 Thanks for the screenshots, ReverendTed! 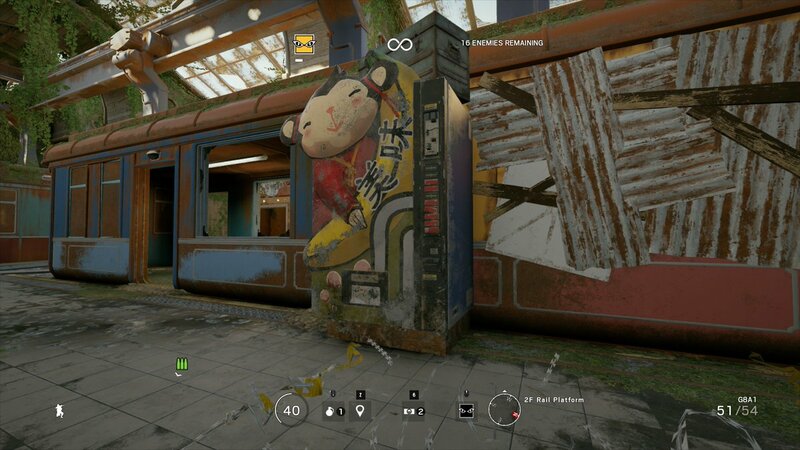 Rainbow Six Siege just added a new map, and this KO-UP! 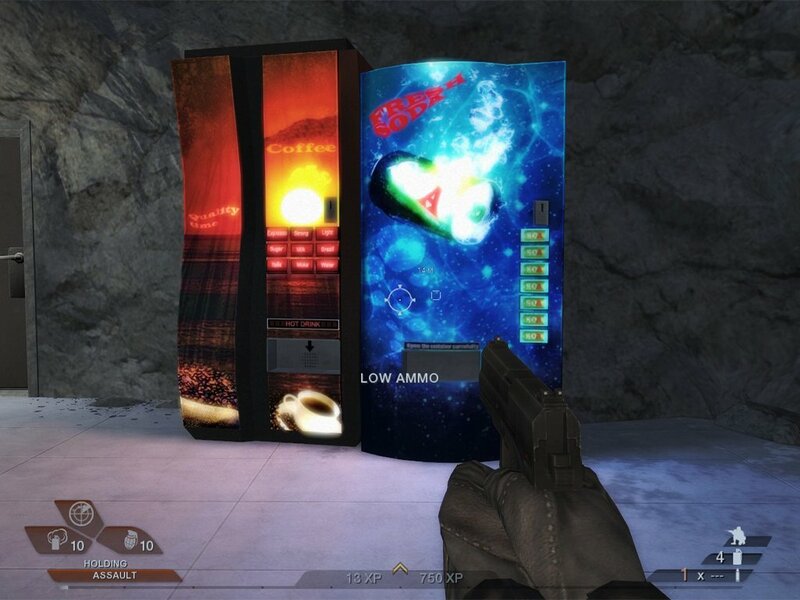 vending machine is definitely a highlight. 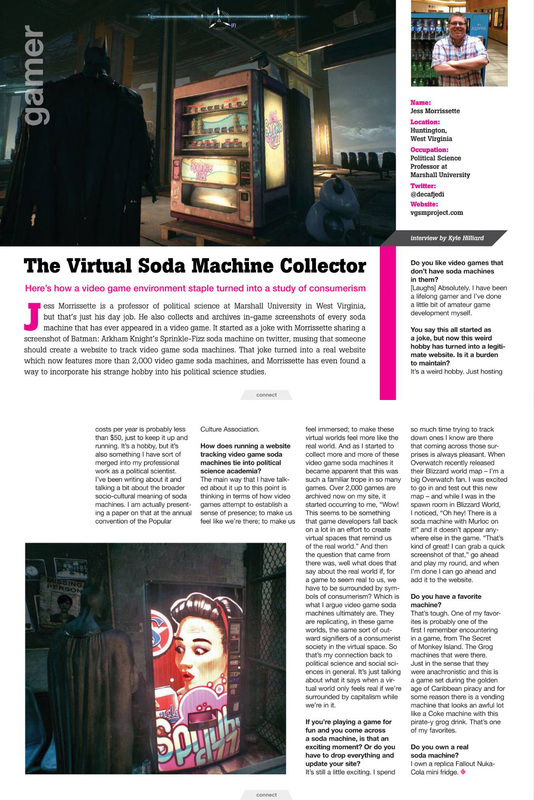 Thanks for the screenshot, Golstan! 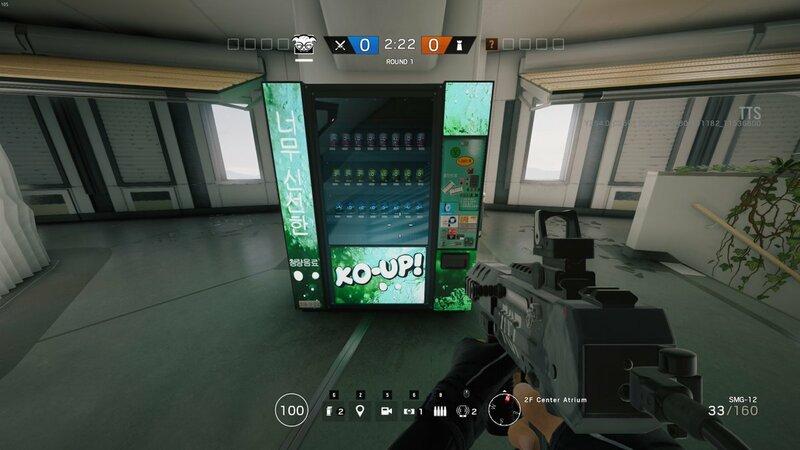 I guess someone didn’t want this guy from Rainbow Six 3: Raven Shield to get the last Cool Cola. 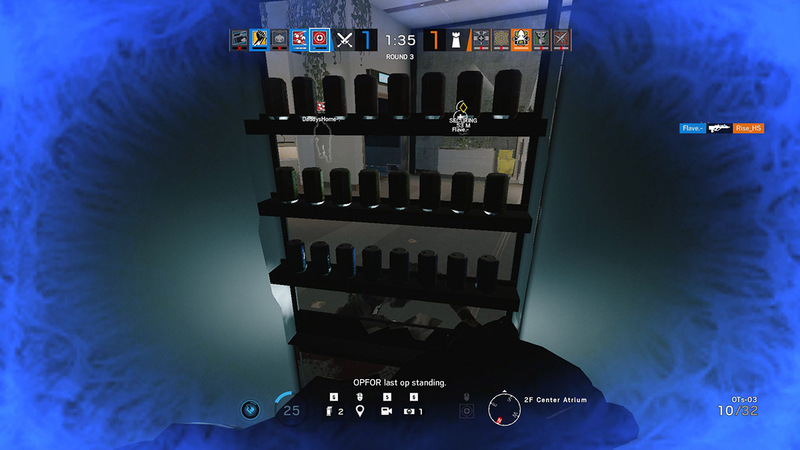 Thanks for the screenshot, ReverendTed! 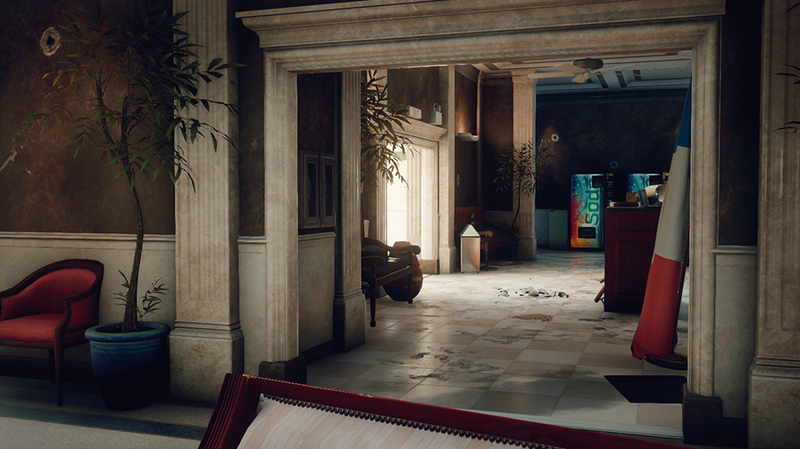 This consulate from Rainbow Six Siege has everything: rolled-up flags, potted plants, debris — even soda machines. Thanks, @kikovegar!